Hello My Name Is…Toyota? Nissan? Honda? Honda had a cool truck, but the research showed that no one really knew that cool truck was a Honda. 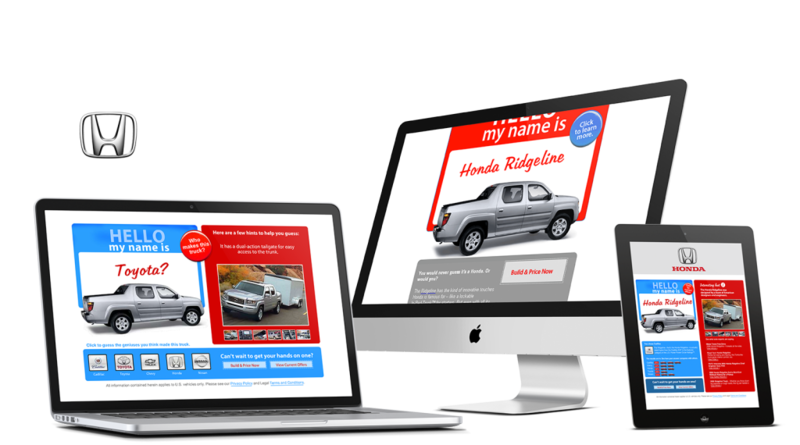 We created a simple email quiz using animated GIFs asking the question, “Who makes this truck?” Users are driven to a landing page to guess, learn more and see great deals.